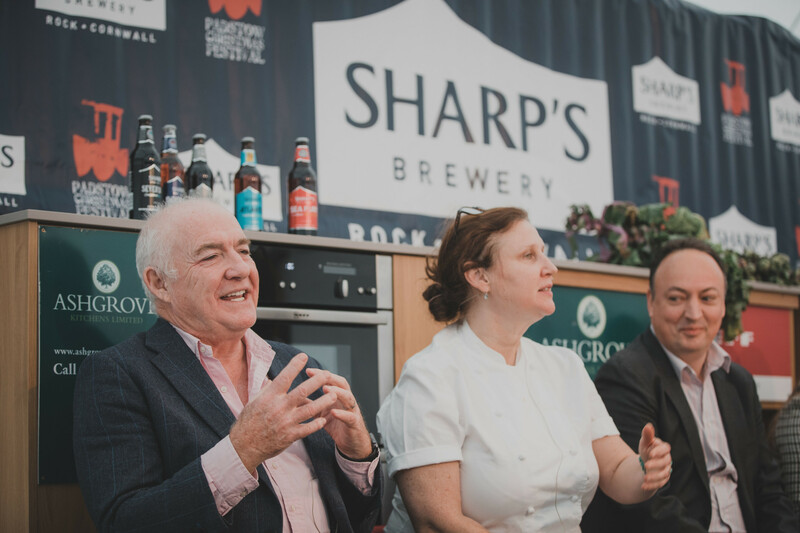 The cooking demonstrations have long been one of the main highlights of the festival, attracting crowds of people looking for culinary inspiration from their food heroes. The first festival comprised just a few demonstrations in the town’s Memorial Hall, but the event has grown apace since then, and now boasts two chefs’ theatres, each with its own fully-functioning kitchen. They’re an ideal setting for local and visiting chefs to showcase their extraordinary talent. The festival kitchens have been designed and built by leading manufacturer, Ashgrove Kitchens, at its workshops at Crediton in mid-Devon. 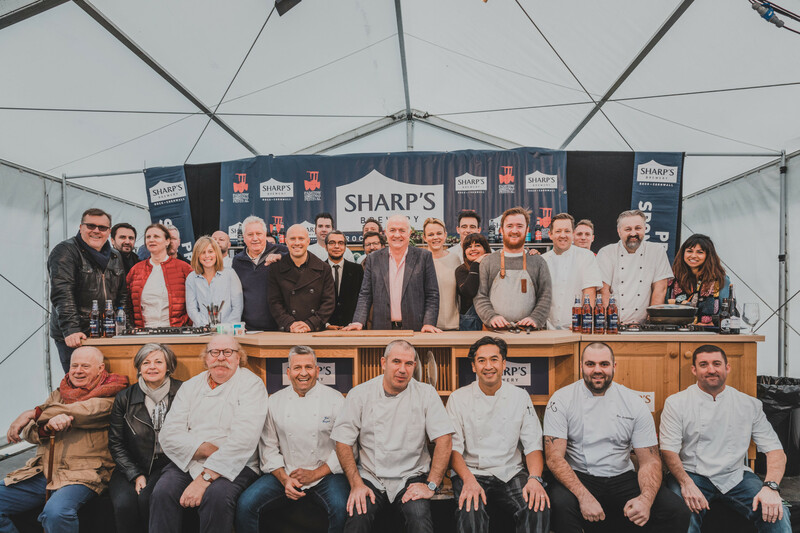 Adept at providing versatile working environments for live cookery and chef demonstrations, Ashgrove supplies kitchens at events across the West Country, including the Devon County Show, Exeter Food Festival, and River Cottage Summer Fayre. It’s a popular sideline for the business, which has been handcrafting bespoke kitchens, bedrooms and bathrooms in Devon for more than 30 years. “We pride ourselves on being a part of the local community and are committed to supporting local charities and events,” said Katey McDonald, Ashgrove’s marketing co-ordinator. Outside events are a labour of love for the Ashgrove team, and preparation is key. Each kitchen comprises 15 self-contained pods which arrive on site on the eve of the festival and takes the four-man team around six hours to install. “The pods are all on casters so they’re fairly easy to move around once we arrive at the location,” said Katey. “The demo kitchens we use for Padstow feature a number of shaker style, traditional units complete with an oak block work surface. There’s also a double oven, induction and gas hobs, and a sink. 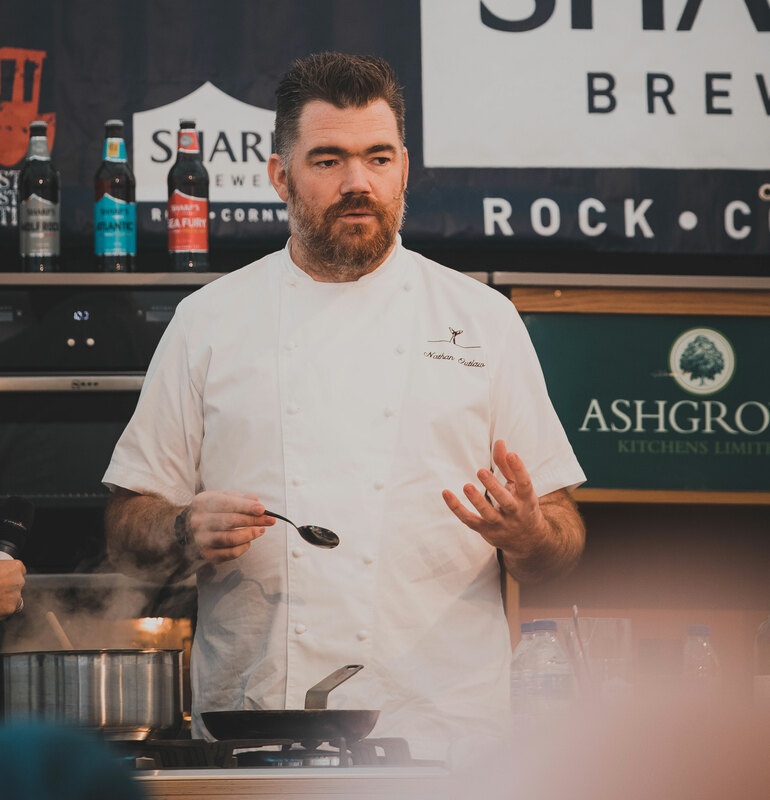 Ashgrove has been using its Oakford range at Padstow for the last three years.